Renewable energies generate from natural sources that can be replaced over a relatively short time scale. Examples of renewable energies include solar, wind, hydro, geothermal and biomass. Nonrenewable energies come from resources that are not replaced or are replaced only very slowly by natural processes. The primary sources for nonrenewable energies in the world are fossil fuels -- coal, gas and oil. 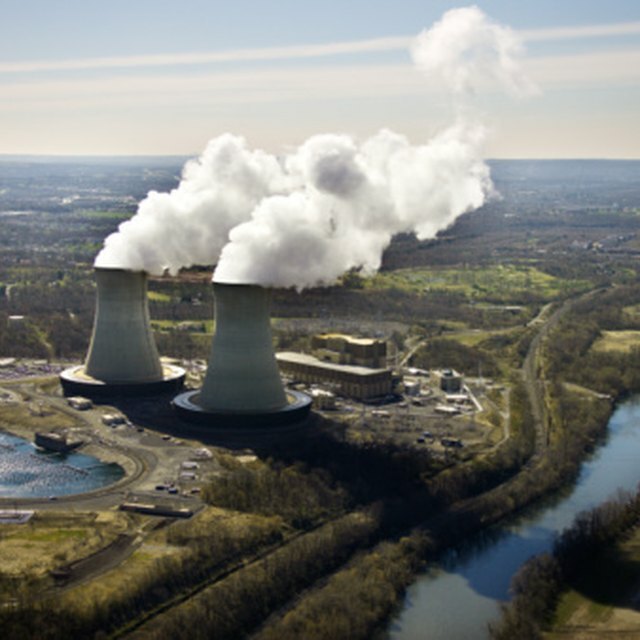 Nuclear energy is also considered nonrenewable because there is a limited supply of uranium in the Earth's crust. When planning the energy profile for various communities, the advantages and disadvantages of renewable vs. nonrenewable energies need to be considered. Because renewable energies are not burned like fossil fuels, they do not release pollutants into the atmosphere and provide a cleaner, healthier environment. Sources of renewable energy are found everywhere in the world and cannot be depleted. Costs for tapping renewable energies are decreasing as the technology advances and, once established, maintenance costs are generally low. Because trained technicians are needed to maintain the equipment, some renewable energy plants have the potential to generate more jobs than highly mechanized fossil fuel plants. Most importantly, there are little or no greenhouse gas emissions associated with renewable energies that are contributing to driving up the planet's temperature. Initial costs for setting up renewable energy plants are often quite high and require careful planning and implementation. Building dams, for example, for hydroelectric power requires high initial capital and high maintenance expenses. Renewable energies like solar and wind require large tracts of land to produce energy quantities competitive with fossil fuel burning. Renewable sources of energy are also affected by weather, reducing their reliability. 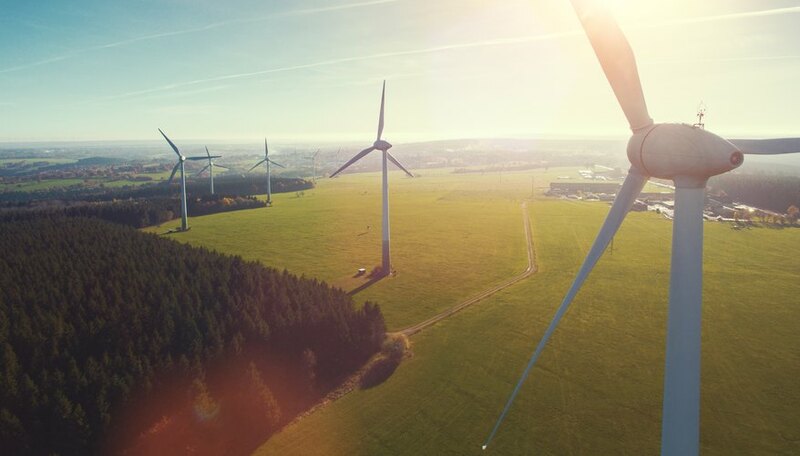 For example, wind turbines only rotate it there is enough wind at a given speed and solar panels do not operate at night time and are less efficient on cloudy days. Fossil fuels are the world's traditional energy sources and electrical power plants, vehicles and various industrial plants are built around using them. Many nonrenewable energies are more reliable than most renewables and are not subject to weather conditions. They provide continuous --not intermittent, weather-dependent -- energy. New technologies, such as carbon, capture and storage (CCS) are emerging that may allow fossil fuel use with less harmful effects to the environment This process captures carbon dioxide (CO2) from electrical and industrial plants and stores it underground instead of releasing it to the atmosphere. The U.S. Department of Energy currently has several CCS projects in place to determine the long-term feasibility of this technology. Fossil fuels are in a limited supply and will one day be depleted. Processes for extracting and transporting fossil fuels have caused widespread environmental damage from strip mining and accidental oil spills. Most importantly, burning fossil fuels releases harmful greenhouse gases into the atmosphere, primarily CO2. Incorporating CCS technologies into existing fossil fuel plants to prevent CO2 emissions is extremely costly. Nuclear power plants do not release C02, but pose other risks such as potential radiation leaks and waste storage problems. The costs for building new nuclear power plants have risen sharply making them less economical than other types of power. Governments worldwide are recognizing that burning fossil fuels is changing the Earth's climate, increasing global average temperatures, causing unprecedented melting of polar sea ice and raising sea levels. Given these climate-change threats, renewable energies appear to be the wave of the future. Many countries, including the United States, have programs for limiting CO2 emissions and supporting renewable energy development. Renewable energy R & D is helping to lower costs and increase efficiency. In the future, there will likely not be a single solution to a community's energy needs but a combination of technologies. Communities will need to identity the energy resources in their area and develop sustainable energy plans. J., Carolyn. "Renewable Vs. Nonrenewable Energy Resources." Sciencing, https://sciencing.com/renewable-vs-nonrenewable-energy-resources-12071170.html. 27 June 2018.